Brushed Cotton Natural Duvet Cover Set is rated 4.9 out of 5 by 8. 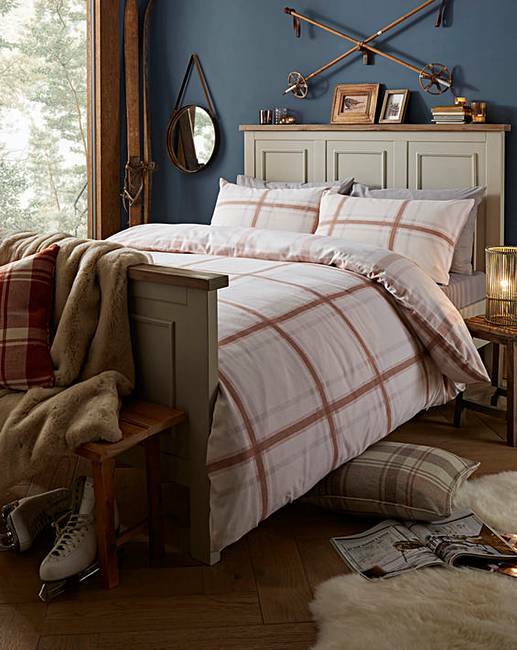 The Lincoln is a classic check design and a lovely winter warmer. The brushed cotton makes this set super-cosy and the check pattern and colour combination means it will sit well in most settings. Rated 5 out of 5 by Eileen05 from Warm & cosy Bought this for my new bed the quality is lovely, and sizing is perfect. Rated 5 out of 5 by kazza from Cosy Material Extremely pleased with quality of this kingsize duvet set. Rated 5 out of 5 by Alfieboy from So warm Really soft and warm, washes well. Very good buy. Definitely recommend. 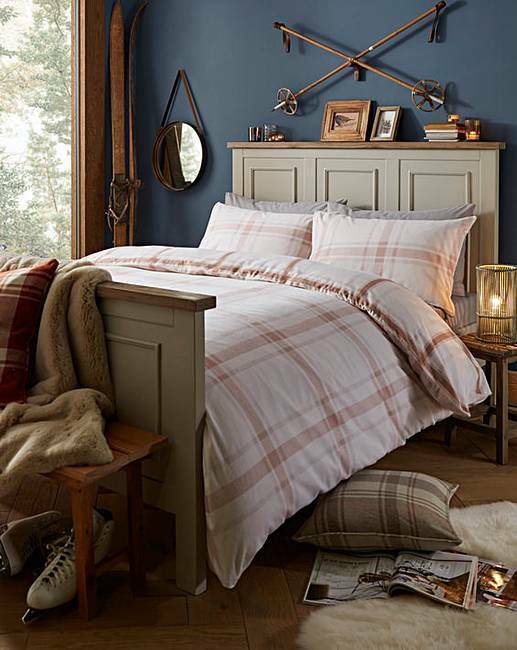 Rated 5 out of 5 by joan hands from Brushed Cotton Natural Duvet Cover Set. Could not wait to see on the bed absolutely beautiful would recommend it. Rated 5 out of 5 by Dougal59 from lovely and warm Great good quality duvet cover very soft and warm.